Looking for high quality physiotherapy treatment in the Manchester area? RunningPhysio recommends Manchester Physio. Manchester Physio is part of physio.co.uk, one of the UK's leading physiotherapy providers. It's a very modern clinic with top of the range equipment and an on-site rehab gym. Experienced, friendly staff provide a wide variety of treatments and services including deep tissue sports massage and expert running gait analysis. 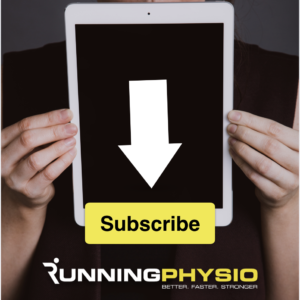 They'll help you with any running related injury, including runner's knee, achilles pain and plantar fasciitis and provide personalised strength and conditioning advice. Manchester Physio is based in the prestigous St John's Street in Manchester City Centre, just off Deansgate. It's easy to find and is very close to local bus and train routes. On-street parking is available outside the clinic. Love your website and am a big fan of the approach to physiotherapy and injury prevention/cure which is discussed on the site. However, I would be interested to know why you are recommending this physio in Manchester? Do you have experience of the place or any knowledge of the practitioners working there? I recently ran a course in Manchester and met the Manchester Physio team. They have a great clinic and very knowledgeable physios who work with all levels of athletes so I was happy to recommend them.